Now that I’m nearing the end of my internship, I can’t help but reflect back on all my experiences and how they have impacted me thus far. This is also an especially bittersweet time for me, as I am wrapping up the rural portion of the internship and moving to Nairobi for the last five weeks. 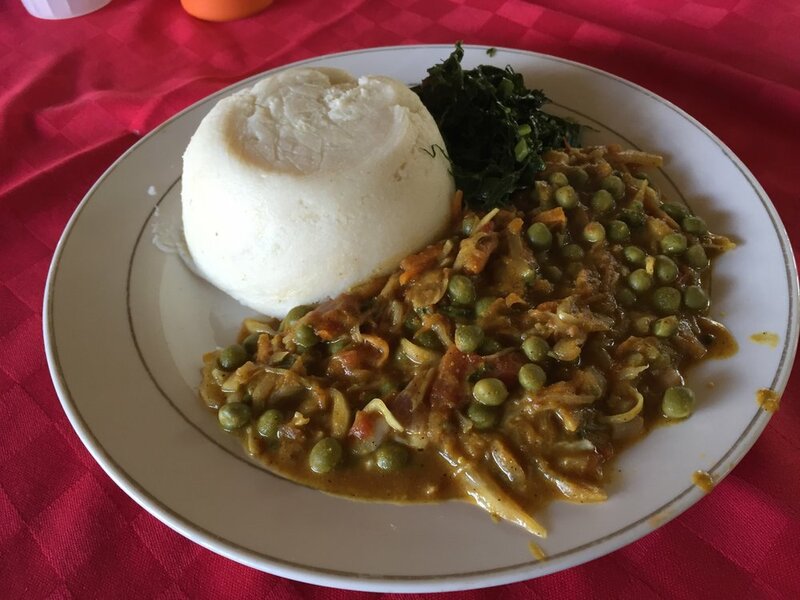 While I’m looking forward to reliable internet and hot showers, I’m going to miss the slower pace of life in Asembo, all of my wonderful coworkers, and being able to buy a delicious, heaping plate of ugali, beans, and sukuma wiki for 50 shillings (about 65 cents CAD). Overall, I think I’ve learned a lot about myself in the past five months. Some revelations have been positive, while others have been less so. What I do know is that this experience has been great from a personal growth point of view, and the lessons I’ve learned here will stay with me for the rest of my life. Here are just a few of the things I’ve learned about myself in the past five months. I’m not as flexible as I thought I was. Moving around frequently with very little notice was very hard on me mentally, and I also found it difficult that my work barely resembled the original job description I was given back in Canada. Learning to deal with these two issues certainly made me more flexible, but as someone who prefers sticking to a plan, this is still something I definitely need to work on. Pea and cabbage curry with ugali and sukuma wikiMy ability to adapt surprised me. 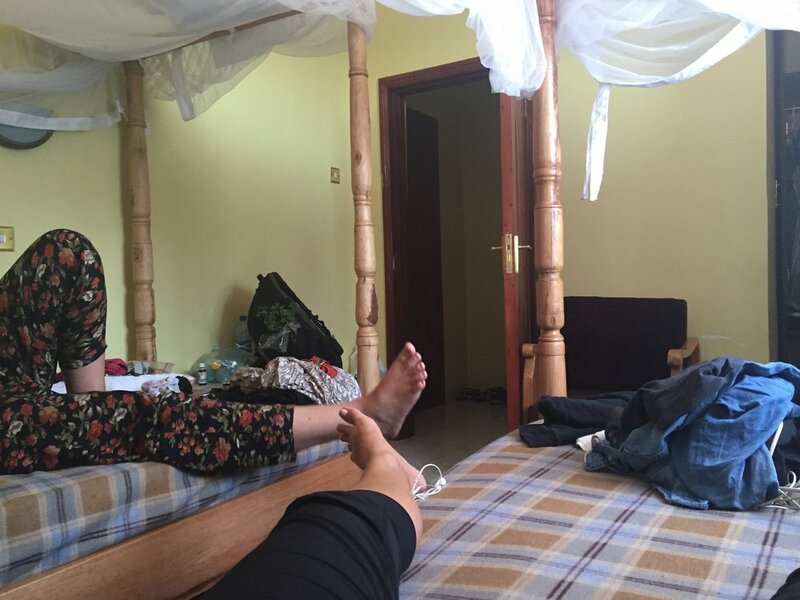 Living with priests, going days without electricity, living in a community with no internet, taking cold showers, eating the same foods every day (ugali, beans sukuma wiki, and eggs), and sharing a tiny room with my coworker Laura are all things I’ve adapted to and actually come to love. Now, I can’t imagine not being with Laura all the time, and the thought of not eating ugali every day sends shivers down my spine. Laura and me on the banks of Lake VictoriaI’m more resilient than I was at the start of this internship. I recently had malaria for two and a half weeks, which obviously made me extremely sick and exhausted for what felt like an eternity. I also managed to get bilharzia (a nasty parasite that enters your body through microscopic snails that burrow through your feet) at the same time. Being bedridden and having hallucinations while thousands of kilometers away from your family and friends is no joke, but I managed to get through those weeks in one piece, something I never would have been able to do in October or November. Our teeny, tiny room in AsemboPeople are generally good and I should trust more often. 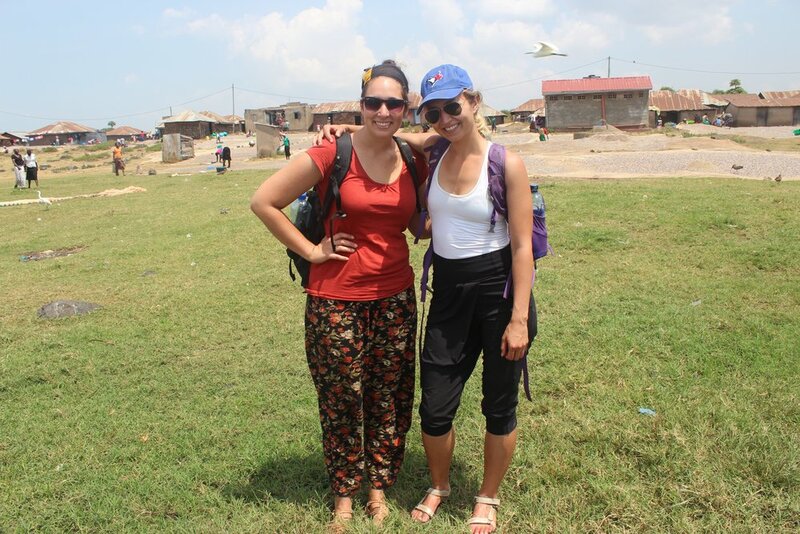 I’ve met many amazing people over the course of this internships, including coworkers, my hosts in the villages I’ve stayed in, and people in the community. By and large, my experience has been extremely positive, and the level of kindness and generosity exhibited by the people I’ve interacted with has been overwhelming. When I first arrived, I was more reserved, hesitant to build relationships, and generally less trusting of the people I met. Thankfully, I’ve learned to relax a little bit, and enjoy fostering friendships with my coworkers and other people I’ve met along the way. This especially includes my friends Phestus and Lillian, their son Lenny, and their daughter Sharon, who have grown to be some of my favourite people I’ve met over my time here. Phestus and Lillian own the guesthouse where I am currently staying, and I am quite sure that I may cry when I say goodbye to them later this week. Rachel Quehl is working with Chalice and Crown the Child Africa as a Nutritionist.